What would Germans be without Berlin? New research from the Institute for Economic Research in Cologne said Germany would generate a little more national income per person -- 0.5% more to be precise -- without its capital city. Berlin produces less GDP per capita than the rest of the economy despite its vibrant tech scene and trendy status. "Berlin was a bit of a surprise," said Henry Goecke, one of the researchers at the institute. 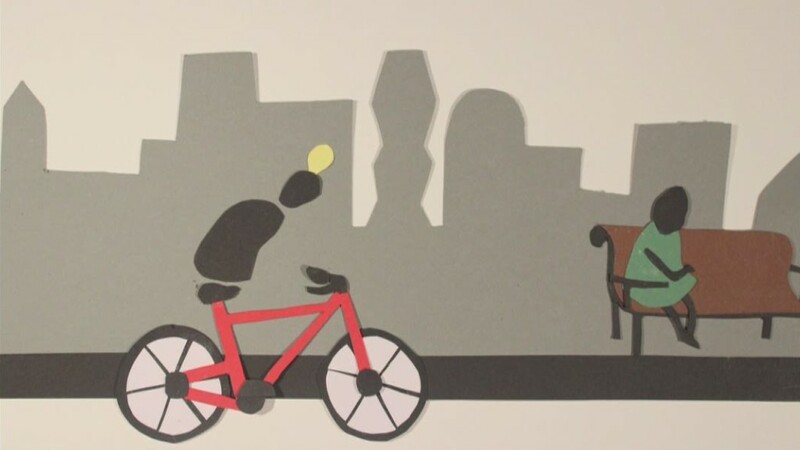 "Economically, Berlin is more or less not important at all, to put it harshly." He said Berlin suffered by comparison with some of Germany's other regions such as the Rhineland, where much of the country's manufacturing industry is based, and Bavaria, home to automakers such as BMW (BAMXF). Berlin is not the only capital city that is lagging behind. Canada's per capita GDP -- one measure of national wealth -- would be 0.2% higher if it wasn't for Ottawa, the researchers found. "This is because of the economic strength of the oil producing region of Alberta, which has 11% of the people, but produces 17% of all GDP," Goecke said. If Berlin and Ottawa are the brakes, then Paris and London are the engines. 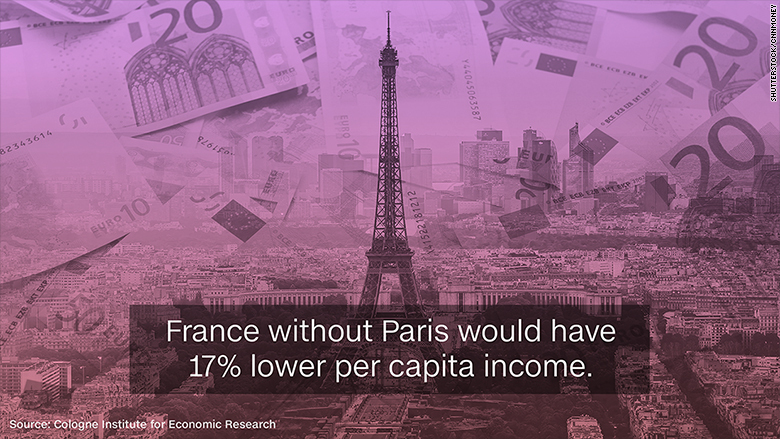 France's per capita GDP would be more than 17% lower without its capital city. That makes the "City of Love" even more important to France than London is to the U.K. 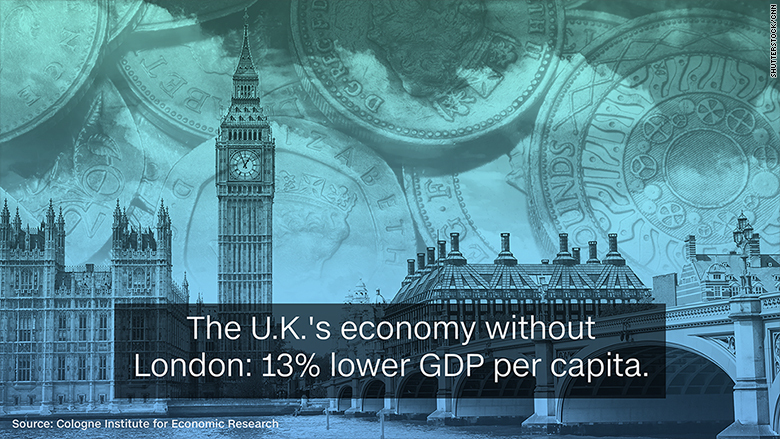 But the British capital, home to the country's all important finance sector, is also vital for prosperity -- the country would see its GDP per head drop by nearly 13% if it wasn't for London. That contribution is now under threat. "After the U.K. voted for Brexit, there will likely be consequences for London, and the question is whether the city can remain as connected to the EU financial services industry as it is now," Goecke said. The United States would also be worse off if it wasn't for Washington D.C., although the drop in GDP per capita wouldn't be too dramatic -- just over 1%. That kind of balance is good for an economy, Goecke said. "You don't want to put all the eggs into one basket," he added. Correction: An earlier version of this story included an incorrect number for Germany. It has been updated after the Institute for Economic Research provided a new figure.